It has been a while since I did a post on wine, but with the festive season fast approaching (if you are a miserable bugger like me who thinks Christmas starts on Christmas Eve ) or already in full swing (the norm these days it seems), a post on booze seemed appropriate. I am afraid it totally mystifies me why decorations go up more than a week or so before Christmas Day let alone before the start of December. I told, by people in work, this is because I am a miserable git. I refuse point blankly to do secret Santa in work on the grounds that I will give something someone doesn’t want and I will get something I don’t want. As such, those who accuse me of being a curmudgeonly git may have a valid point. Notwithstanding my natural bar humbugness, the party season is very much upon us and we all tend to drink a fair bit more than usual (well I do). This can be somewhat punishing on the liver and the brain cells (I for one need to protect the few remaining ones I have left), so it is nice (and often advisable) to have something a bit lighter alcohol wise so as to assist said liver and the all important recovery process the next day. As I get older my capacity for booze seems to get progressively lower and my hangovers longer and nastier. As a result, particularly at this time of year, lighter wines have significant appeal to me. 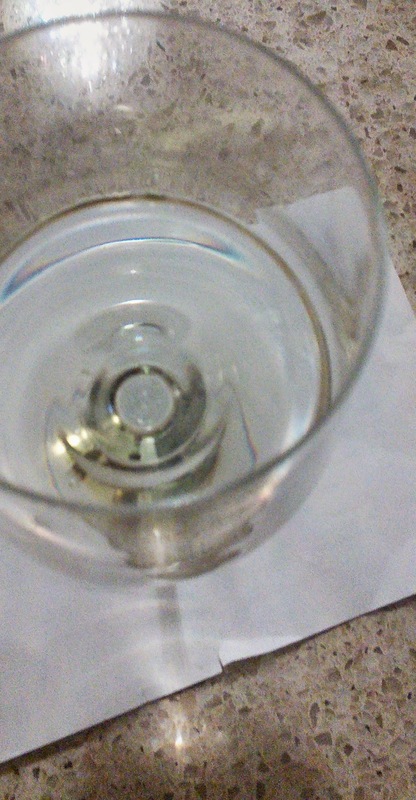 Alcohol levels in white wines seem to be inexorably increasing, such that 14° is no longer that unusual. Bear in mind that the one unit per glass of wine, people aways seem to assume that a glass of wine is one unit regardless of the size of the glass or wine in it, is based on a measely 125ml glass of wine of only 8°alcohol. A 250ml glass of wine at 14° comes in at a whopping 3.5 units. Whilst fizz is for many the party wine of choice, it is often pricey (for what you get) and can be alcohol heavy. It also gives me, for one, terrible indigestion. Not a good combination for a long session at a drinks party. Below are three example of lighter wines that are out there to buy at the moment which I think are nice alternative options to fizz and heavy hitting whites during the festive season. Txakoli (pronounced chock- oh – lee) is the archetypal Basque white wine and is the drink of choice for many when undertaking a crawl around the pintxos bars (see my post on pintxos bars in Donostia San Sebastian). Athough it comes as red, rosé and sparkling, it is most commonly a white made from the hondarridi zuri grape. It is low in alcohol (usually 11° max and as low as 9°) with a nice acidity and minerality to it, as well as a touch of saline (much of it is grown on steep vineyards right by the sea). 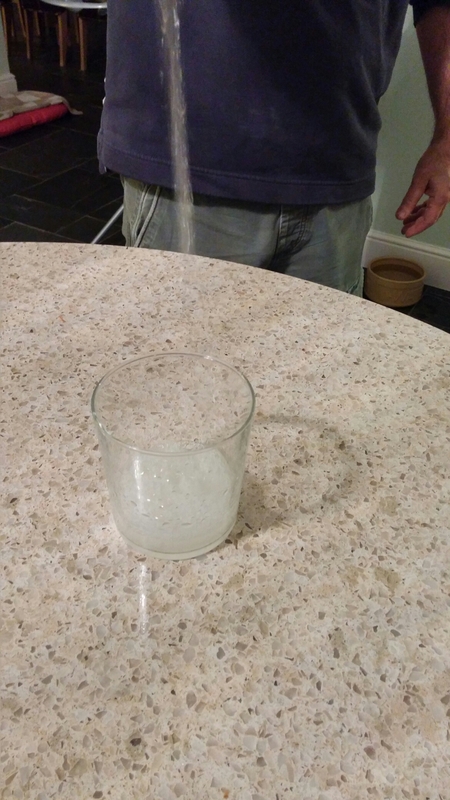 It has a slight spritz (due to the fermentation process) to it and is generally poured from a height into a tumbler style glass to exentuate the fizz in it. It is a very refreshing wine and due to the low alcohol levels it is ideal as a wine to quaff over an extended session. In Donostia San Sebastian, it was once described to me as a breakfast wine – got to love those Basques. As it is a very versatile wine with food (going with all manner of seafood, cured meats and cheeses) it is a great wine to drink with canapes/nibbles. I try and pick up a case every time I go to Pais Vasco (the Basque Country), which is at usually at least once a year. 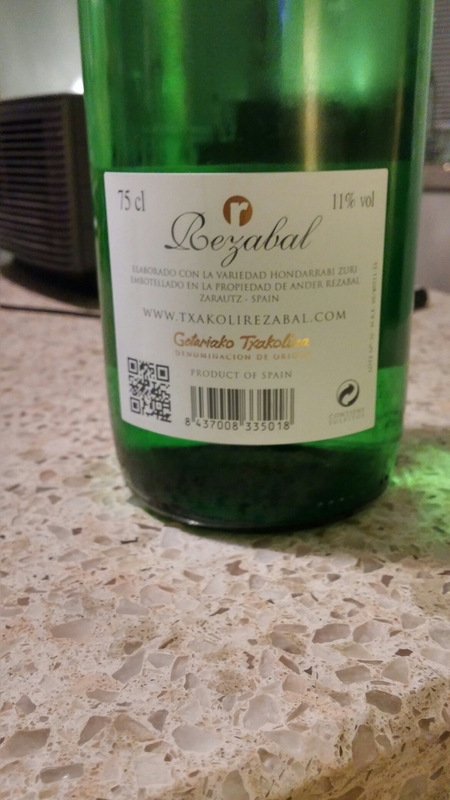 The example I have at the moment is a classic Getaria txakoli, with fresh acidity, green apple aromas and tart apple and citrus on the palate with a slight prickle on the tongue. Very easy drinking and, at the €7 I paid for it, a bit of a bargain. On the alcohol front this comes in at 11°. 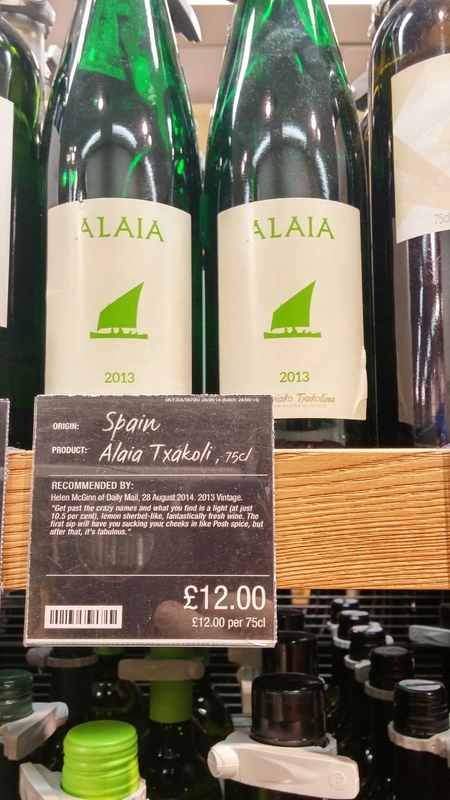 Txakoli can be tricky to get hold of in the UK (the crafty Basques keep most of it for themselves), but M&S do one in the form of Alaia Txakoli 2013 from Getaria. At a quite light 10.5% (7.9 units per bottle – 1.3 Units per 125 ml glass) this would be a great party wine, if a tad pricey at £12. Ultracomida in Wales also do a good txakoli for £11.95 and they do mail order (they have loads of other Spanish goodies so are well worth a look). Literally “green wine”, this a classic wine from the Northern Portuguese province of Minho. It is meant to be drunk young, with the green referring to age rather than colour, but keeping it a while doesn’t seem to do it any real harm. 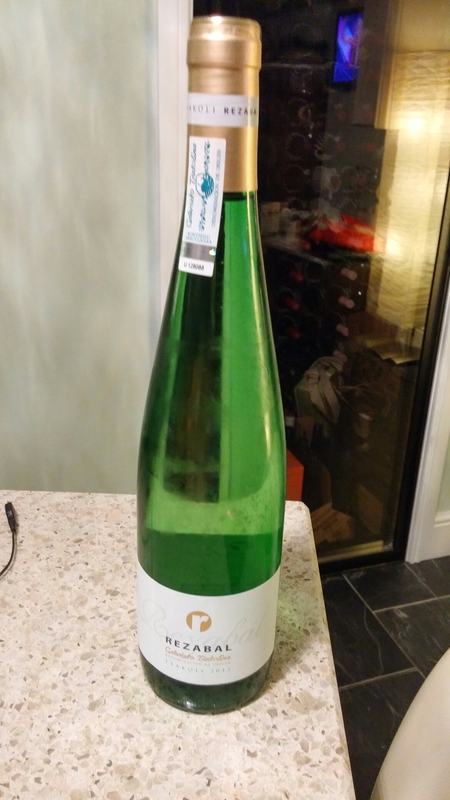 The eagle eyed among you will have noted the bottle pictured above is a 2009, which is really far too long to keep a vinho verde (I found it when rooting around in my wine room/cupboard and rather than buy a new bottle decided to drink it then and there – it was fine). As 11° it is a very dry, light, refreshing and above all easy drinking wine. Like the txakoli, it has a slight spritz to it. Aromas are of green apple, with lime on the palate as well as some subtle white floral notes. This wine would be great with seafood canapes – crab or prawn crostini for instance. It is pretty versatile food wise, so a good match for the often diverse flavours of canapes/nibbles. 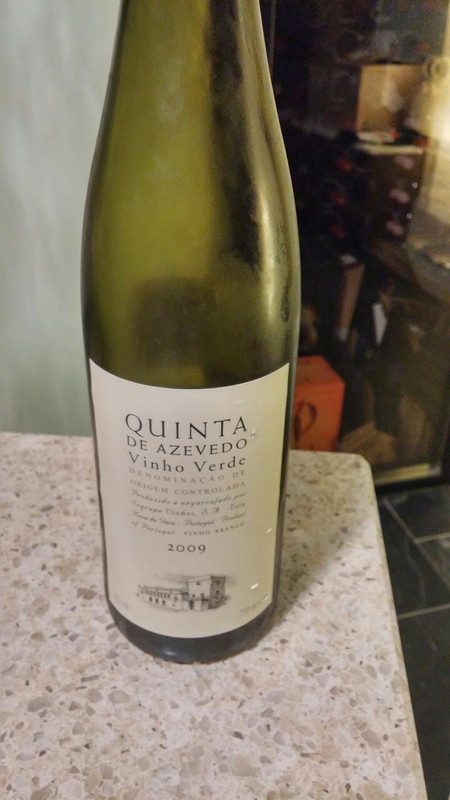 The Quinta de Azevedo can be found at Waitrose (£8.29) and Majestics (£9.99 or £6.66 as part of their current mix and match promotion). 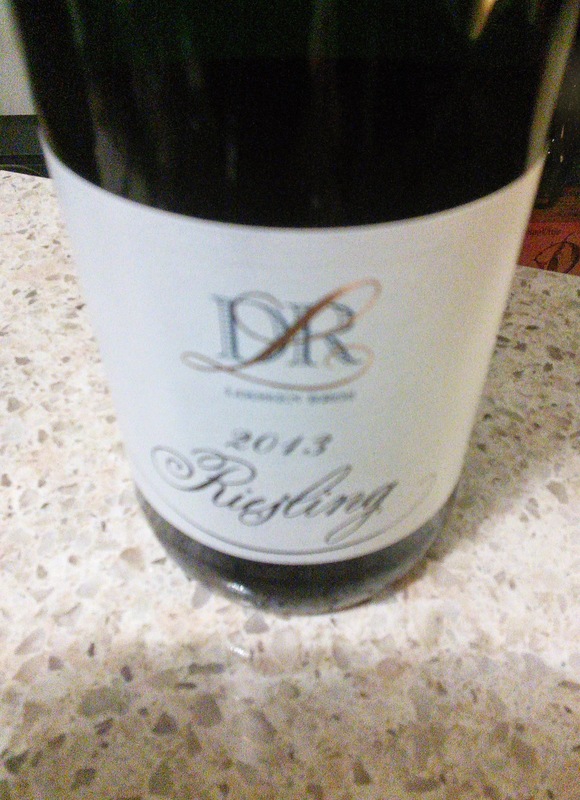 Riesling is to me the noblest of the classic white wine grapes. It is used to makes an awesome diversity of wine styles for bone dry to stickies and lots are absolute corkers. 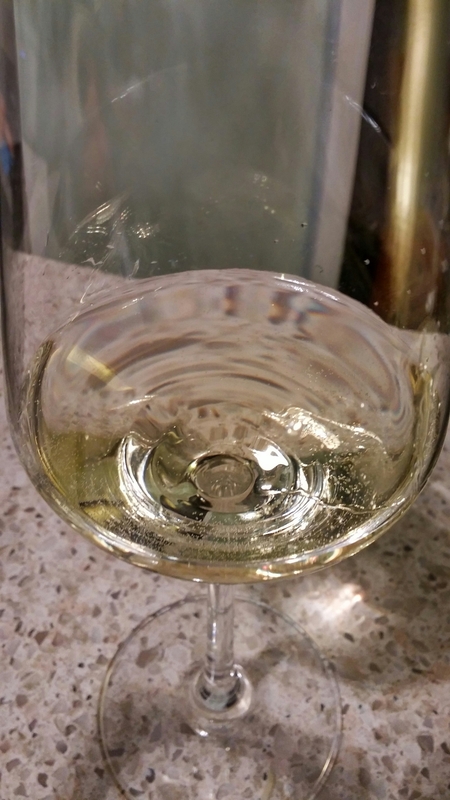 German riesling, beloved by the wine community, has had and still gets a bad rap from the general buying public who all to often associate it with leibfraumich (which is actually usually mainly made with the Müller‑Thurgau grape). I have to say the somewhat confusing German wine classification system doesn’t help as many people have no idea what sort of wine (dry, off dry or sweet) will be in the bottle and as a result don’t risk it. I love all types of riesling, but at the lower end of the alcohol scale German riesling wines often excels. 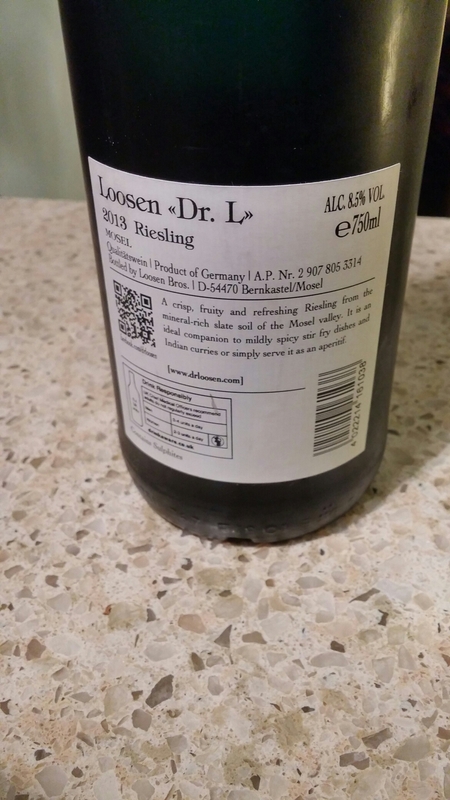 Prices go from the very reasonable to the seriously pricey, but a good entry level (and thus reasonably priced for quaffing) wine is the the Dr L Riesling (Asda £5.75 – Sainsbury £7.50 at time of writing) from the Mosel Valley in Germany. 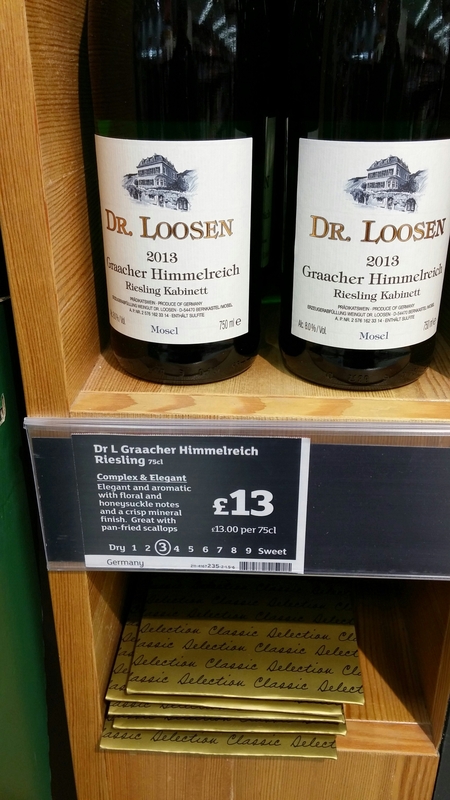 Made by the highly respected Loosen family it is off dry, but don’t let that put you off. Whilst the initial off dry taste may be a bit of an anathema to lovers of bone dry whites, I urge you to perserve as it is a wine that really grows on you (well I think so). The aromas are of baked and honeyed white fruit, apple with a bit of pear thrown in. On the palate the flavours mirror those on the nose, with the addition of lemon sherbet. The wine has a nice acidity to it that makes it very refreshing and at 8.5° (a mere 6.3 units per bottle and thus a smidgen over 1 unit per 125 ml glass) it is very easy to drink. Some beers these days have higher alcohol than this wine. This wine goes very well as a match for Indian and Oriental foods which have a bit of spicing in them. It is ideal for coping with the sort of Asian inspired canapes that are on the shelves these days and also a really good match for sushi. As such it is a potentially excellent party wine, if you can get over the irrational intolerance people seem to have to all but the driest of white wines. If you want a step up in class, try the wine below from the same producer (£13 – Sainsbury). All highly drinkable wines, with the added benefit of being relatively alcohol light. Would I buy again? Oh yes, regularly do already. They are great wines for this time of the year (and the summer) if you are not a fizz fan or want something different that won’t kill you the next morning. 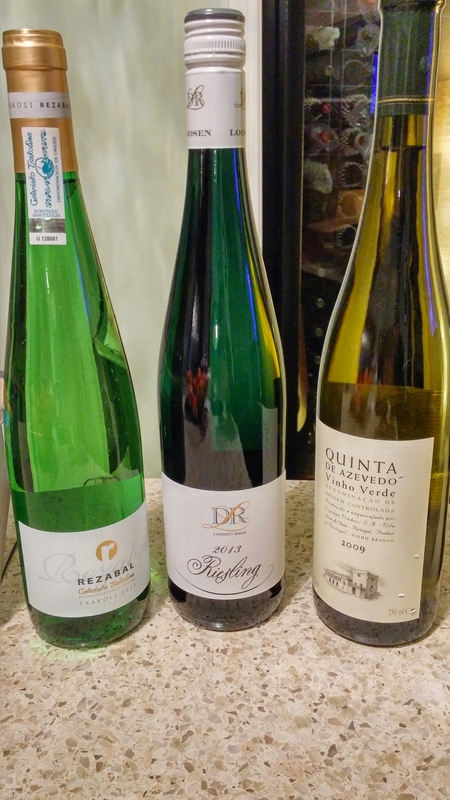 This entry was posted on Dec 21, 2014 by solicitingflavours in Basque Country, Cardiff, Drink, Food and wine products, German wine, low alcohol wine, Marks & Spencers, Portuguese wine, Riesling, Spain, Spanish wine, txakoli, Vinho verde, Wales, White wine, wine.